Apple is reportedly working with the owner of an iPhone X to figure out why it exploded immediately after being updated to iOS 12.1. The iPhone was still being updated when it was connected it to Apple's official Lightning cable and wall adapter, Rahel Mohamad told Gadgets360. "Dark gray smoke started coming from the phone. The update was completed and as soon as the phone turned on it started to smoke and caught fire," he noted. Mohamad contacted Apple Support via Twitter, which has since asked him to ship what's left of the iPhone for analysis. There have been very few reported incidents of the iPhone X exploding. 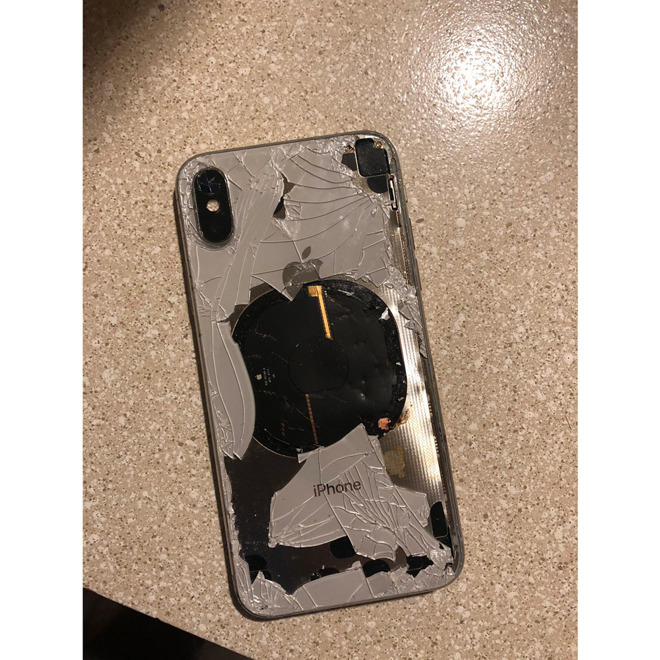 The cause in this case is most likely a defect in either the battery or the charger, although a software glitch could theoretically have caused the iPhone to exceed its limits. AppleInsider has not seen wide reports of abnormal effects following the iOS 12.1 patch. All smartphones are potentially at risk of fire due to their use of lithium-ion batteries. Issues like overheating, leakage, or penetration of the battery cell can cause a runaway effect. In the case of Samsung's doomed Galaxy Note 7, a first set of fires was blamed on a design flaw that caused short circuits, while a second was linked to an ultrasonic welding defect that pressed on the battery. The debacle ultimately cost Samsung in excess of $5 billion.